What is a Pulley Block? Several wooden pulleys, some of which include multiple blocks. A pulley block is an essential component of a pulley mechanism. It functions as the weight-bearing point in the system, which makes the work to be done substantially easier. Pulley blocks, though the name evokes an image of a square, are actually the grooved circles in pulley systems that are used to guide the rope or cable through the pulley. A pulley block is, in fact, the essential component of the pulley system. The pulley is one of the most commonly used simple machines and is one that has been used for centuries. It has been used by numerous civilizations around the world and has been used to construct the most astonishing man-made structures that still stand today. The pulley mechanism doesn’t typically consist of more than three functioning parts, including the pulley block. The pulley block within the system is a vital component because it takes the amount of weight from the object being lifted and then turns in place, allowing the cable or rope to be pulled through the system more easily. 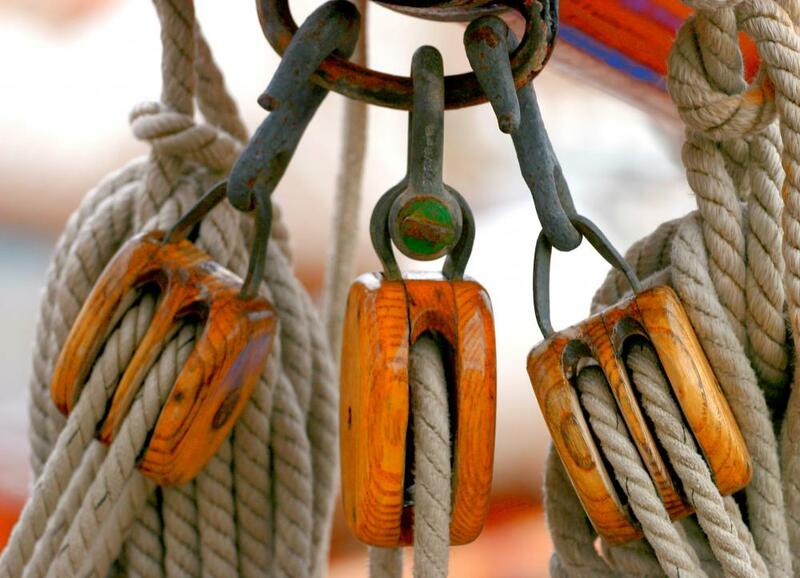 Also referred to as “block and tackle” systems, pulleys have been used since their creation in hundreds of different instances, and always with the same purpose: to lift objects too heavy to be lifted by human strength alone. The pulley point is determined by choosing a spot higher then both the source of energy pulling the cord or rope that runs through the pulley and the object that is to be moved or lifted. The rope, or high-tensile cable for heavy-duty applications, is then attached to the object to be moved. The other end is either pulled by hand or connected to a device called a winch, which gathers the rope by cranking it around a wheeled sprocket. The rope being pulled through the pulley creates a work point called a fulcrum, which makes lifting the heavy object much easier. 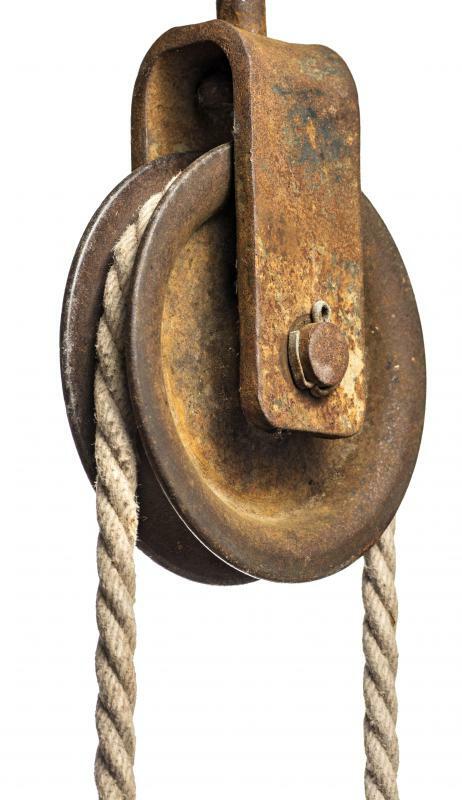 The earliest pulley systems were fabricated from wood components with wrought iron pins, though these typically weren’t strong enough for one cable to lift extremely heavy objects. In these early machines, the pulley block could contain up to four blocks, each with its own cord, for even more weight distribution. The pulley systems that are made today from cast iron and steel alloys are exponentially stronger, allowing objects that weigh up to 10 tons to be moved with the use of a winch system as long as the cable used to move the object is rated strong enough to handle the task. What Is a Cable Pulley? What Is a Grooved Pulley? What Is a Simple Pulley? What Is a Rope Pulley?